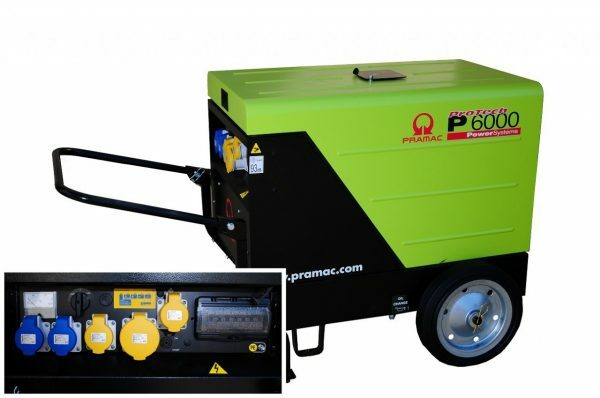 Pramac p6000 Electric Start – A powerful single phase generator which produces 4.8kVA continuous. 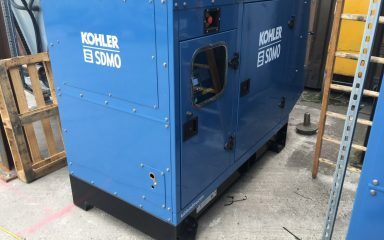 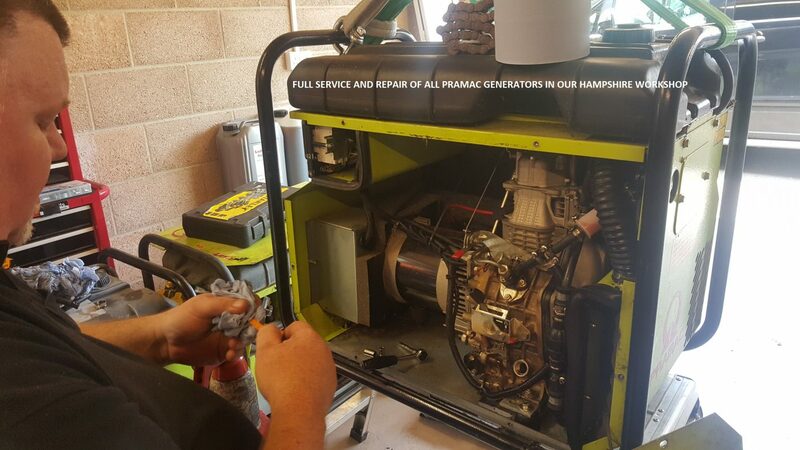 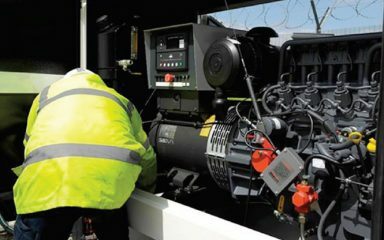 Designed for professional, industrial and intensive use, this quality Pramac generator is capable of spending its lifetime supplying power to sites and demanding applications.The Ideal generator for use in residential areas or outside working hours. 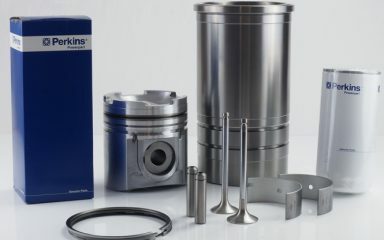 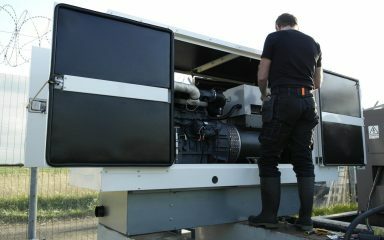 These generators are equipped with first class components and complete instrumentation. 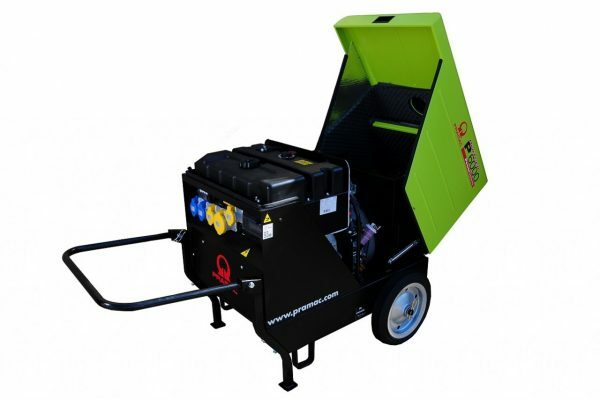 This P6000 Generator comes complete with a wheel kit for easy transportation. 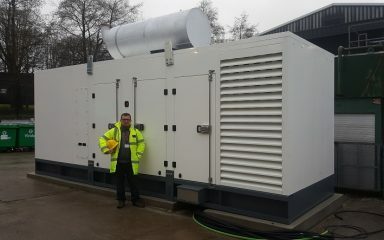 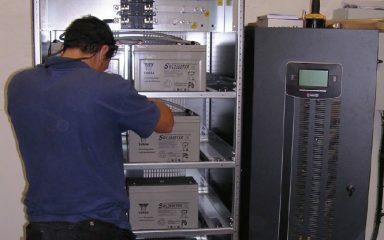 Great backup and after sales support from the experts at Hampshire Generators. 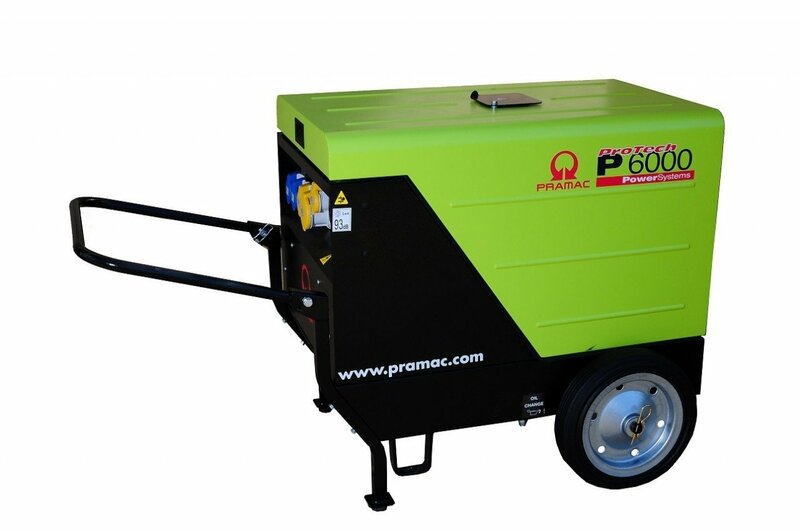 Innovative and compact design by Pramac of Spain. The generator comes with a fitted wheel kit. 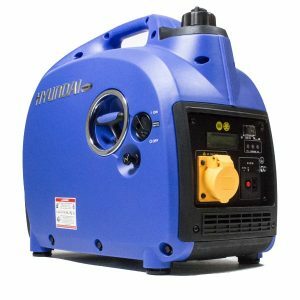 This is a heavy duty manual electric start generator.